Product prices and availability are accurate as of 2019-04-18 14:02:12 EDT and are subject to change. Any price and availability information displayed on http://www.amazon.com/ at the time of purchase will apply to the purchase of this product. 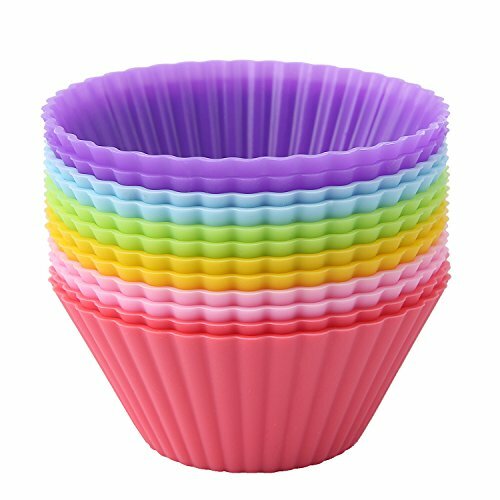 - These easy-release, non-stick baking cups are reusable. - No need to use a muffin pan. 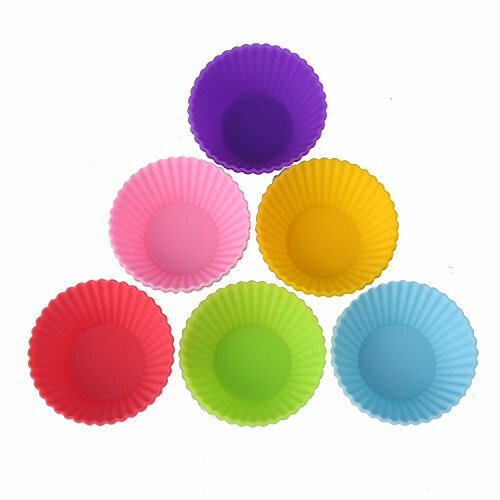 Place cups directly on a baking sheet. - Also convenient for microwave cooking. 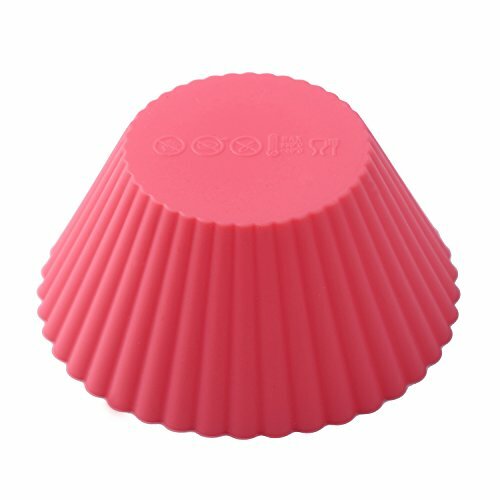 - Each cup is 2.75" diameter at the top, 1.6" diameter at the bottom, and 1.25" tall. YOU'LL LOVE THE FUN COLORS - KIDS LOVE TOO! and frozen treats such as ice cream cakes and fruit bowls! 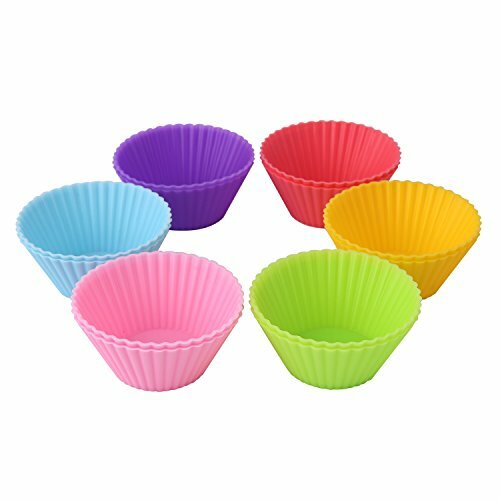 - Place cups on baking sheet or in a muffin pan. Fill and bake according to recipe. - Allow to cool before removal. May use cooking spray lightly before filling if desired. - Securely place in dishwasher or hand wash to clean. Stack and store in their container for reuse.